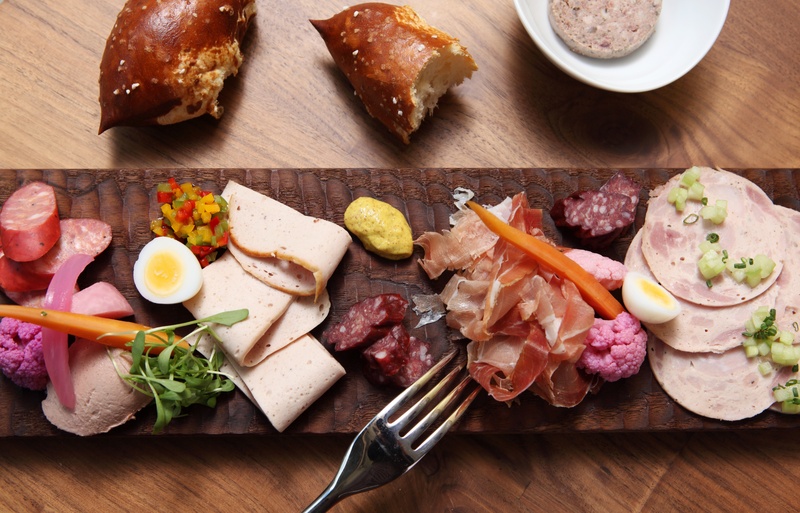 BierBeisl might be tiny, but the new Austrian restaurant in Beverly Hills delivers huge flavors in a variety of schnitzels and sausages. 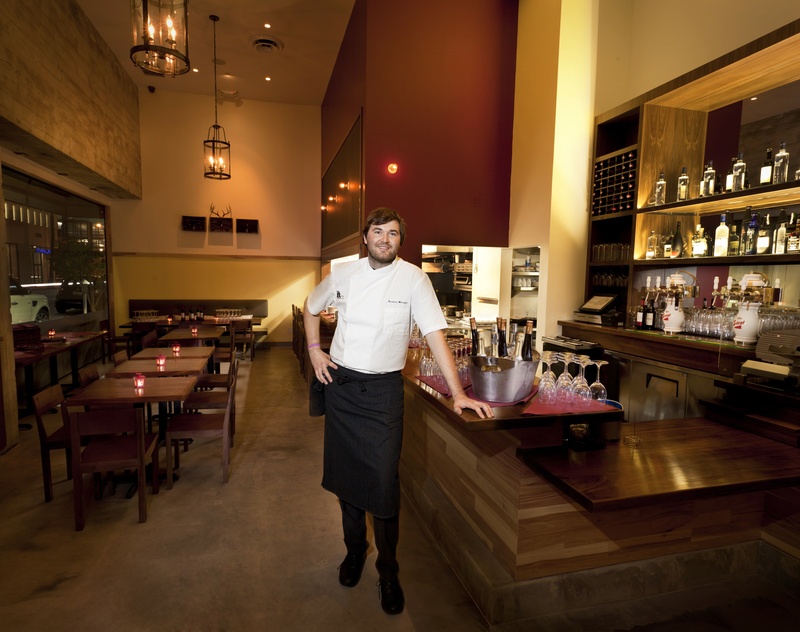 At the helm is former Patina Chef Bernhard Mairinger, recently named a top rising chef for 2012 by Zagat. 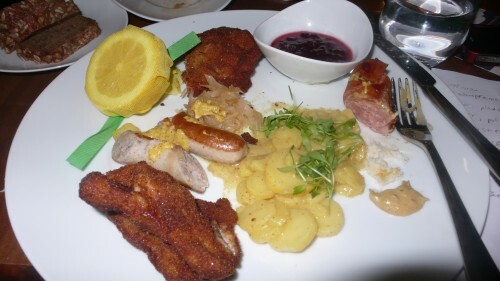 I visited the eatery a few days ago and was excited to try the charcuterie plate and schnitzels. The modern layout offers diners seven seats at the bar overlooking the small kitchen and about 15 tables, so reservations are a must. 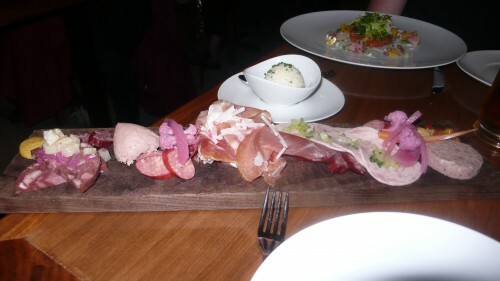 Nick and I started with the famous charcuterie plate which had a variety of cured meats, mustards and sauces. 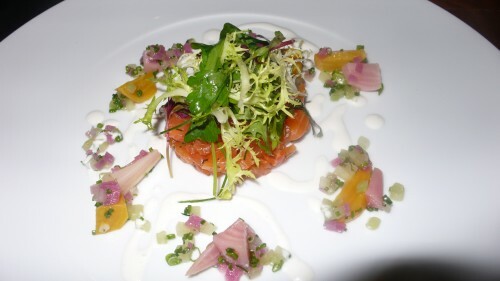 We also enjoyed the house-cured char with heirloom beets and fresh horseradish served over a nice herb salad. 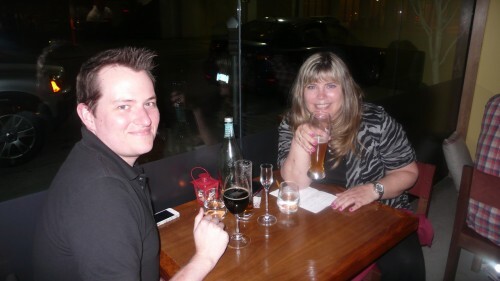 The selection of Austrian and Czech beers is amazing. 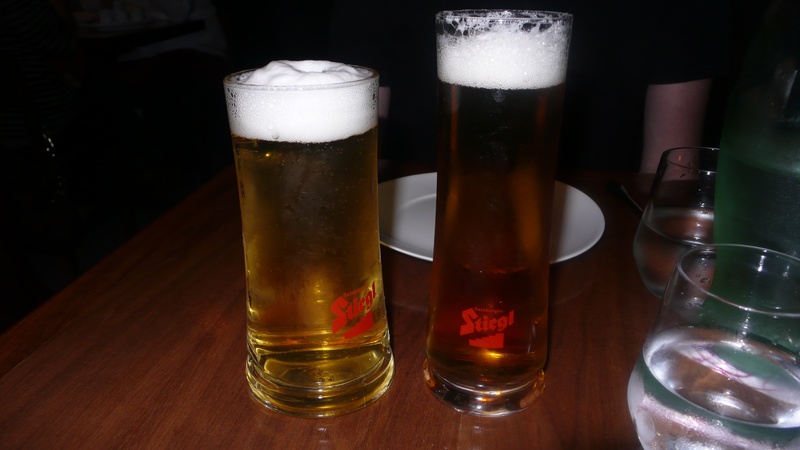 We enjoyed a nice pisner and staropramen. 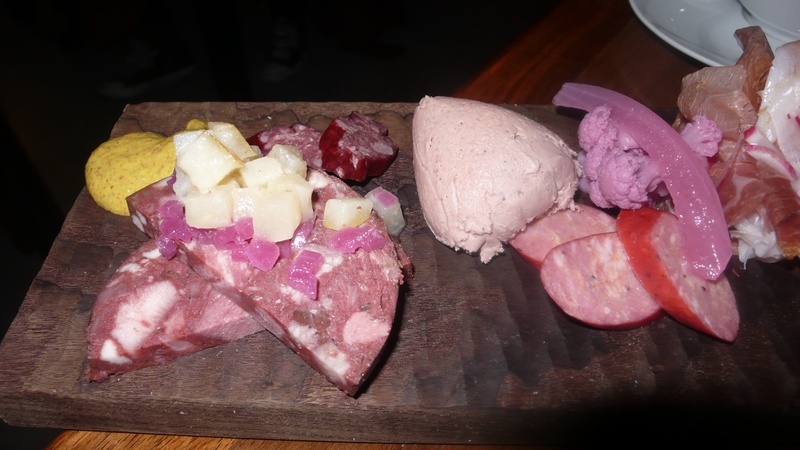 Next came our main dishes, a kasekrainer sausage infused with Swiss cheese and served with tarragon mustard and fresh horseradish. 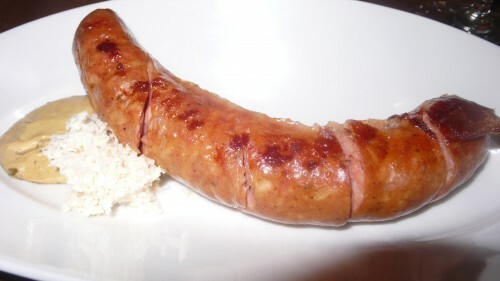 This was similar to a Polish sausage and filled with flavor. 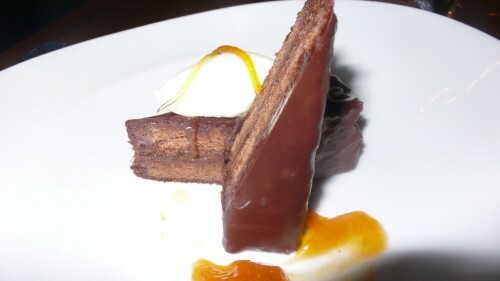 We loved this dish. 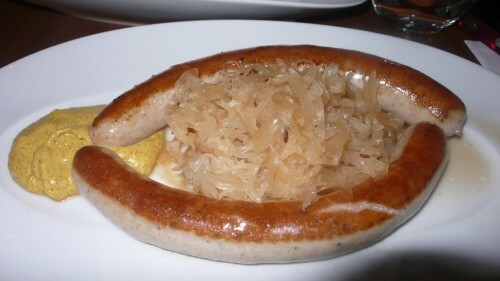 Equally tasty was the juicy bratwurst served with tangy sauerkraut and tarragon mustard. Other sausages on the menu include the Debreziner- a spicy thin coarsed sausage, Weisswurst – slow simmered in mild and served with a pretzel, Polish, traditional Wiener and Bier Cabanossi. 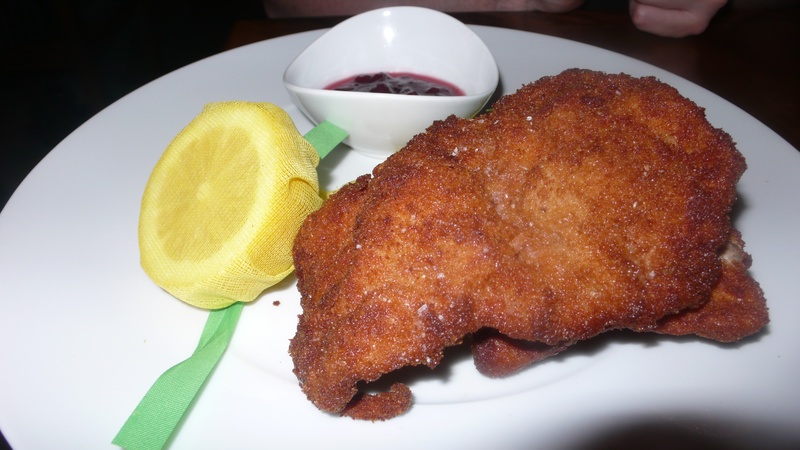 Next came the crispy veal schnitzel, my fave of the night, served with lingonberries and lemon. We ended the meal with the famous sachertorte and the coffee hazelnut schnitte – both decadent and rich. 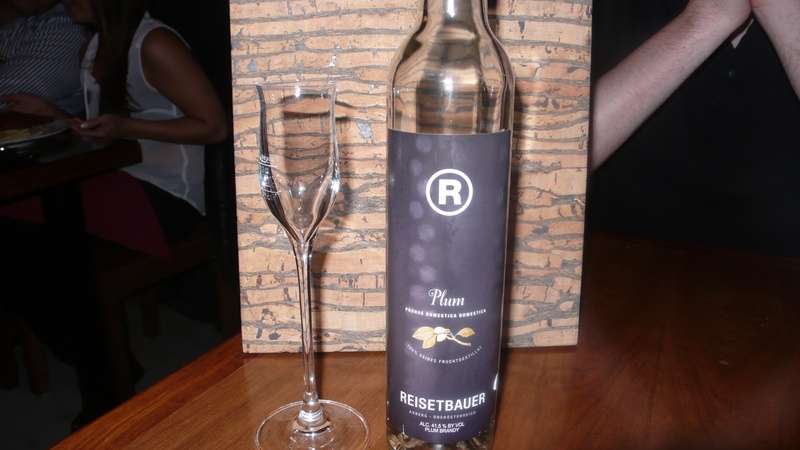 Last was a taste from BierBeisl’s schnapps bar – we choose plum schnapps. A perfect way to end a delicious Austrian meal. 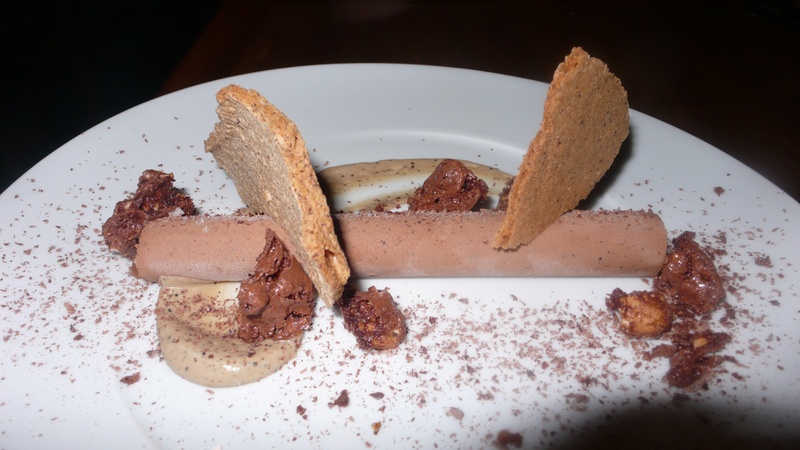 Now is the perfect time to visit the eatery as they are offering two great specials. In honor of Sigmund Freud’s Birthday, order any two sausages from May 6 – 11 and get a third sausage free. Additionally, on May 4 is a special menu pairing featuring Weingut Juris (Austria’s premier red wine producer) wines. Next time you find yourself in the 90210, stop by BierBeisl for a little taste of Austria. Open for lunch and dinner, located at 9669 South Santa Monica Boulevard, reservations are a must, 310/271-7274.